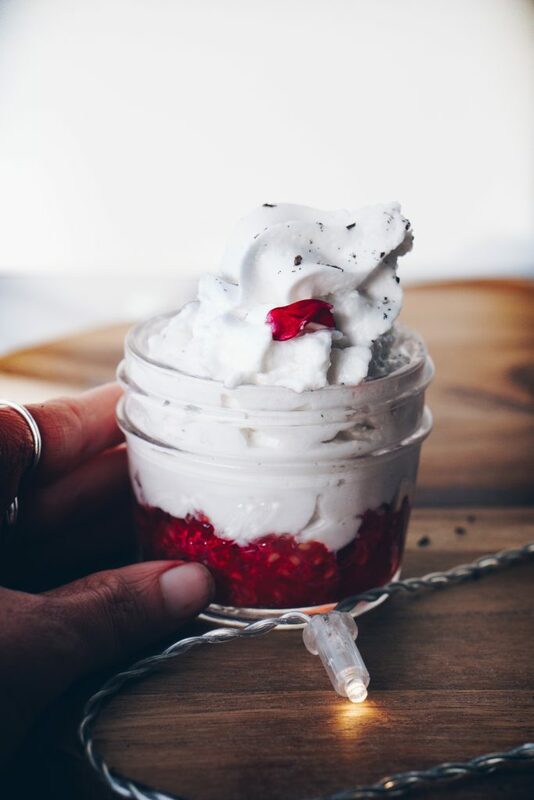 Homemade Coconut Whipped Cream (vegan, paleo, keto & body ecology) is going to teach you how to make your very own whipped cream at home! Can someone say dream come true? I’ve been daydreaming about this recipe for years now. As a child, I could never get enough of whipped cream. To be honest I rather not even have the pumpkin pie or pudding unless I have the whipped cream. So here we are, ready to take on the world and make our own whipped cream. I assure you it is so so easy to do! You don’t need to have a Whipped Cream canister, but if you want to go the extra step it was worth the money. Either way, I promise you this recipe is delicious and simple to make. Why make your own? to have control over your ingredients, this recipe is sugar-free and preservative free. When you buy the pre-made versions from the store and look at the ingredients, it is filled with gums, fillers, sugar, and processed ingredients that we just don’t need. 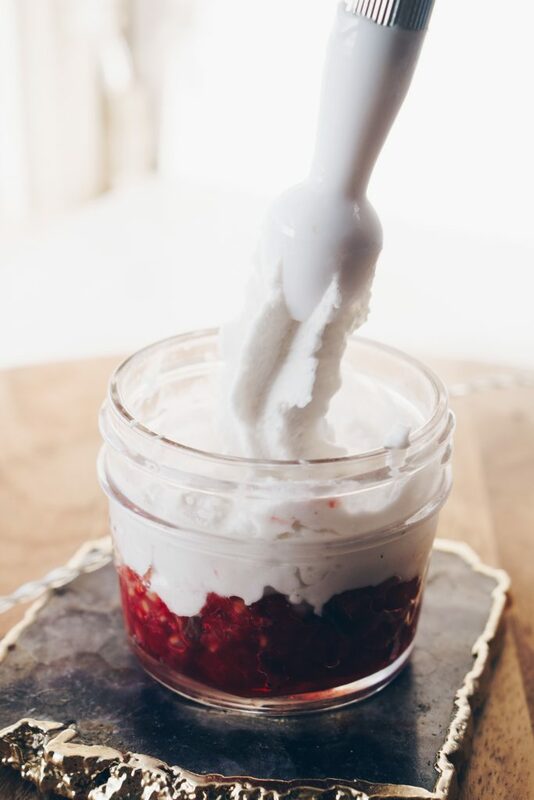 This Coconut Whipped Cream is fluffy, creamy, and so dreamy. All you need to do is get canned coconut, blend it up. If you want you can sweeten the coconut, but I prefer it unsweetened as the coconut is sweet enough. I only recommend products I passionately believe in & I want you to know that when I make a recommendation, I may receive a referral fee. 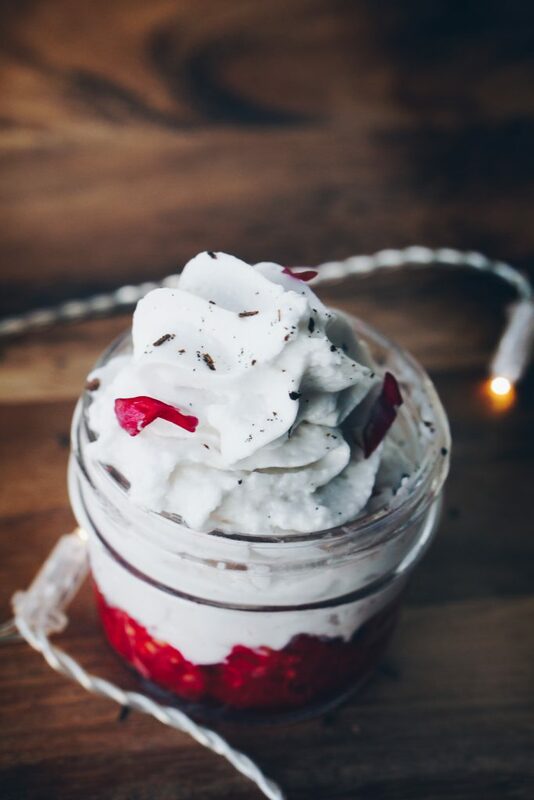 Coconut Whipped Cream Canister Charger. Place the can of coconut milk in the fridge for at least 12 hours, or 24 hours. I’ll be honest I didn’t do this and I was fine. Once chilled, open the can and scoop the solid white coconut cream into the bowl. The coconut water will have settled at the bottom. Discard it or save it for another use. Using an electric hand mixer or stand mixer, beat the cream on medium-high speed until fluffy and smooth. Add the coconut oil, sweetener and vanilla, and whip again until combined. Take mix out of the freezer or fridge, and whip again. Carefully pour the mix into the canister. Put the lid on and attach the charger piece. Shake to mix, and press down on leverage.